There are 72 classifications of crashes and loss-of-control incidents used by accident investigators and police. 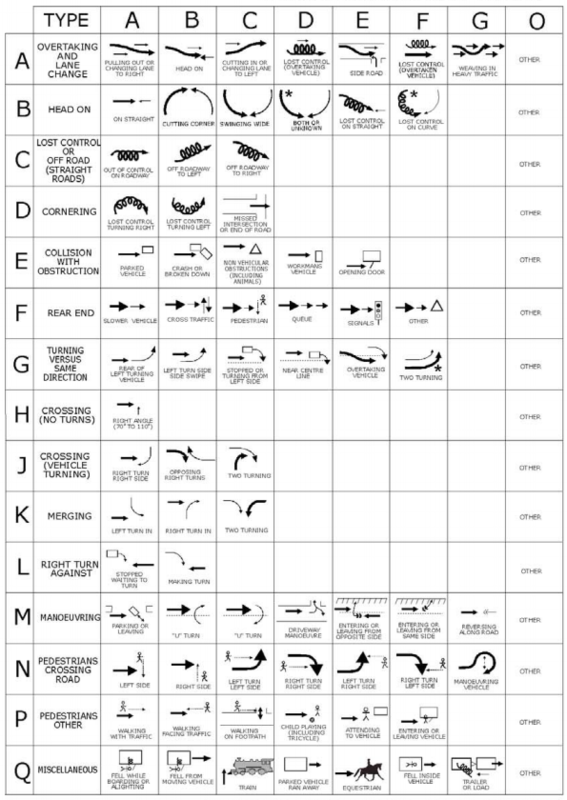 Diagrams are used to quickly describe the accident, and these are published with a guide by NZTA for how to code crashes. The motion or action of the vehicles in the crash can be augmented with information about any other factors such as the type and quality of signage, the state of the driver (e.g. drunk), environmental factors such as whether sun strike played a part, the condition of the road, the condition of the vehicle and more. Weaving in heavy traffic – a vehicle changes lanes frequently to try to get ahead in heavy traffic and causes an incident. 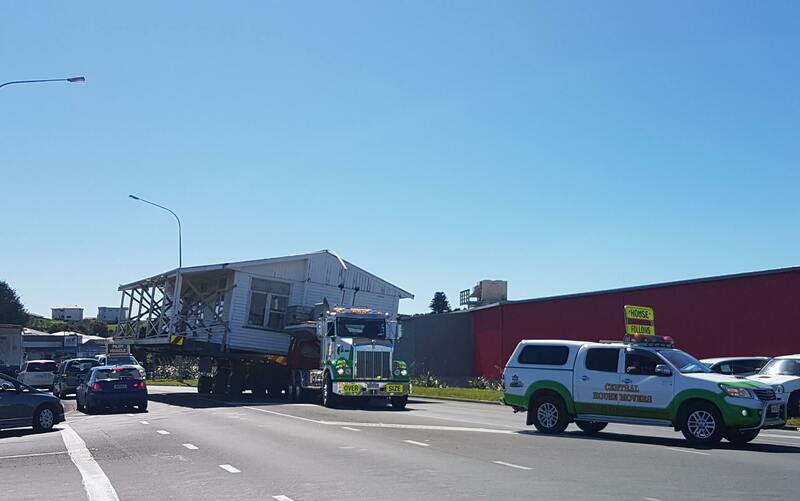 Trailer or load – e.g. a trailer jackknifes or overturns.